Sergio A. is Dj and producer borned in Barcelona, he got the influency of all differents sounds, rythms and styles of a big city with lots of ethnicities, urban music and night clubs. 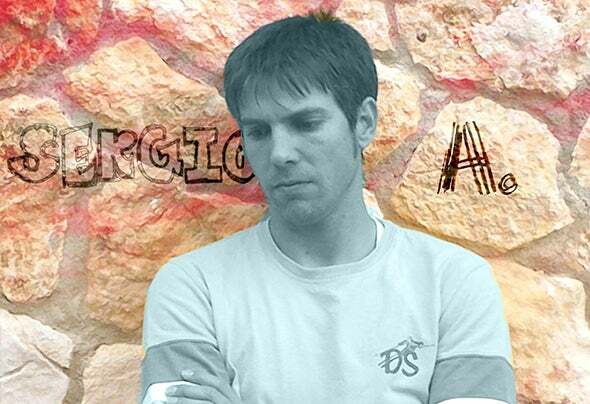 Introduced on electronic music at 90's, on 1999 he starts listening to house music as favorite, listening to DJ's as Andre Vicenzo, Paco Maroto, Erick Morillo, Sven Vath...For the last ten years, Sergio worked as resident Dj on La Masia, a litle club near Tarragona city, and New Long Play. And has collaborated and performed on many privates parties and raves, and Podcasts for Radio Dance Music and Qlub Radio.On 2009, Sergio met Nick Chatelain, reknown DJ and producer, who introduced him on producer's world. Since then has been working on many tracks, learning selftough, and improving himself day by day,With some no1 on Italy and USA and many collabs and tracks released, The African Dust EP is a compilation of 5 tracks plenty of rythms and feelings that will make you travel your mind and will make your feet can't stop move.